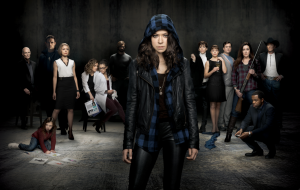 The fourth season of Orphan Black is finally here. 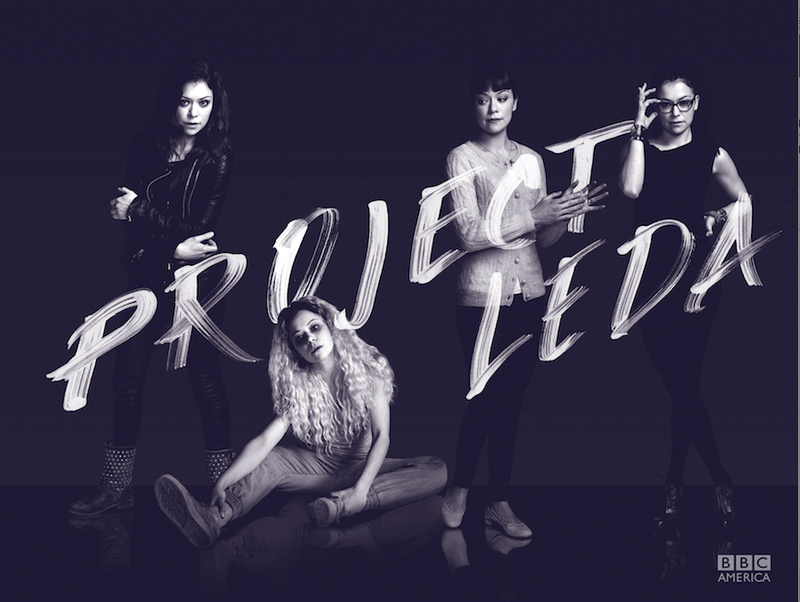 It’s time — once again — to sit back in awe at the marvel of Tatiana Maslany and the rest of the cast who are tasked with bringing to life the weird wild dangerous world of the Clone Club, Projects Leda and Castor and all that that entails. I recently chatted with one of the best reasons to watch OB not named Tatiana. In my chat with Kristian Bruun a.k.a Donnie Hendrix, we talk about why he’s excited about Season 4, Donnie’s new friendship with Helena, he reveals which clones he’ll get to spend some quality face time with this season, and what it’s like to watch Ms. Maslany in action. Spoiler Alert: he’s as much in awe of her talent as the rest of the world is. TV GOODNESS: Season 4 — what do fans have to look forward to in a big picture sense? KRISTIAN BRUUN: I would say, one of the big themes you’re going to see this season is pretty much everyone on the show dealing with the past and how it comes back to haunt or sometimes even help their future. I think they’ve done a really, really good job this year — the writers — in bringing it back to the start of the whole story. And this season, especially, feels a lot like Season 1. It has this exciting edge to it that I think fans are going to dig. TV GOODNESS: What’s ahead for Donnie and Alison? BRUUN: So much has happened to these two in the last three seasons. At the end of last season, Alison, of course, got elected School Trustee and we had this whole crazy drug empire thing blow up in our face. And we have a new roommate, Helena, who is pregnant. So things are a little bit crazy right now. We’re trying to get some normalcy and safety back in our lives. Ultimately, if Donnie and Alison had their druthers, they would go back to their boring, normal life. And just sort of bury the past so to speak, just like Dr. Leekie’s body. Just forget about everything and try to get on with their lives. TV GOODNESS: If that happened, if Donnie and Alison suddenly went back to their normal existence — do you think they would last? I feel like their drama and all the craziness is what really brought them together. And has allowed them to become a solid couple. BRUUN: It totally brought them together. I think their love is stronger now than before. But they still really, really want that normal life again. Which, of course, I think is completely impossible given all the things that have happened in their life. And, also, this world that they’re now a part of. The Clone Club is a pretty dangerous world whether or not you want to be a part of it. It’s a crazy, crazy existence that’s for sure. Donnie and Alison will be striving for that. It’s just whether or not they get safety. Whether or not that’s gonna happen. Of course, we all know what Clone Club is like. That’ll be an interesting part of their storyline this year. TV GOODNESS: What I loved about last season and it continues this year is Donnie and Helena’s connection. They sort of forged a friendship. Can you talk about that from your perspective? BRUUN: Yeah, for me that was really exciting to work on. And it’s also one of my favorite pairings on the show. We’re definitely getting more of that because she’s living at the house. And she’s also pregnant. And so there are things we have to take care of with that respect. But it’s also a huge amount of pressure on his relationship with Alison because they are two extremely different clones. I think that’s why it was so fun to see Donnie and Helena end up together. If you look at Helena in Season 1 and she’s this assassin clone trying to kill all the other clones. She’s been led down such a different path to where she is now. You can see how she just wants a normal life as well because she never had the opportunity to have that. And so she sees that with Donnie. She sees this father figure slash pseudo adopted husband kind of character. They’re such opposites that, of course, it kind of works. At first Donnie is so reluctant to even have her near the house. They both warm up to each other in a very strange way. Because, as we know, at the end of Season 3, she goes and kills the Portuguese mafia in a garage and gets us whole lot of cash. So it’s a very strange relationship. But it’s a strange world that they’re living in so it somehow it works. TV GOODNESS: What does he see in her? BRUUN: I don’t know what Donnie sees in her at all. She’s such a strange person. He cares for her, definitely. I think he also recognizes someone who has suffered a lot of abuse in her life and how damaging that has been to her. He also realizes and sees that there’s a really sweet caring, very, very, probably extremely too loyal of a person in there. He sees the good in her. He was very reluctant to spend any time with her at first but he really does share this connection with her. And it’s because genuinely she is a good person. She’s been just led down the wrong path. So, yeah, Donnie sees her as part of the family a hundred percent. She’s really become someone who’s welcome in the house. Whether or not she’s a good fit is another story. But he does care for her. TV GOODNESS: What episode are you looking forward to people seeing regarding to your character? BRUUN: Like every year, I always challenge the writers to try and top some of the shenanigans that they’ve had me do. And like every season, they’ve somehow managed to do that. So I definitely have three or four moments this season that I’m really looking forward to getting out there. And I’ve looked at the calendar to see when those episodes come out. So I won’t say specifically when. But there are definitely some fun really memorable things coming up. We definitely do get to see Donnie spend time with some new clones that he hasn’t really worked that much with so there’s actually some fun stuff coming up with Donnie and Cosima, which is another kind of an odd pair. And even odder, almost as odd as Donnie and Helena, you get to see Donnie and Krystal interact with each other. TV GOODNESS: What’s it like to watch Tatiana in action? BRUUN: It’s amazing. It’s a real treat to get to work on such a unique project like this with someone who’s as talented as Tat. The biggest shock I think I’ve ever had was…you know for the majority I’ve worked with Alison, I would say. I remember the first time working with a different version of Tat, it just really threw me how different she is…in person. It’s literally like acting with a different person. You get used to it. You kind of have to. But honestly, you just prep yourself to work with a different actor, essentially, when you’re working with a different version of Tat. She’s doing the exact same thing. She’s prepping five lead characters per episode, essentially. And doing the work of five lead characters per episode so she really has to delineate them all. Then, of course, you go down a whole other rabbit hole when you see her playing Alison playing Sarah. Or, you know, another clone playing another clone — Cosima playing Alison. That’s when you really see the magic of what she’s capable of doing happen. I mean, no one has ever really had a challenge like this. There have been other clone films and TV shows and things like that where people have played multiple characters. But I don’t think anybody’s done something this long and this complex and this layered and nuanced either. And then on top of that, just damn good in terms of the quality of the acting. So she just hits it on every level. It makes your head spin. But it’s incredible to witness. It’s incredible to watch on screen. But it’s even more incredible to work as an actor with them. I feel so lucky that I’ve had a chance to spend so much time on this project and witness that. And luckily I haven’t been killed off or anything like that. The more we do it the more it really amazes me. TV GOODNESS: What do you enjoy about the way Donnie has developed throughout the series? BRUUN: A lot of what Donnie does is comedic relief to help ease the tension of the show. The show is very dramatic.. It’s thrilling. It’s a lot for people to take in. So a lot of the stuff that Donnie does — with Alison, with Helena, with whomever, lends a bit of comedic relief. But at the same time, the show also throws some dramatic stuff my way and also some absolutely ridiculous scenes. Like killing Dr. Leekie (Matt Frewer) certainly is so out of right field that I don’t think anybody saw it coming. I didn’t see it coming until I read it. And I love that the show feels comfortable enough with a character like Donnie to take these huge milestones. I mean, Dr. Leekie was a lead character on the show, like a very important element of the show. So I felt honored. And we don’t take the death of any character lightly. We do treat it with a lot of respect because we’re a family and everybody is pretty close on the show. And so even though the fashion and the shock of that death was inherently kind of comedic or just jaw-dropping as such, it’s still a big turning point for the clones and for Donnie especially. And so I just love that they trusted Donnie enough to be able to handle plot points like that and whether it’s the ridiculous situation surrounding that or some of the comedic relief, it’s just been really a fun role to grow with, within the show. And sort of slowly become part of the Clone Club in his own goofy way and find his own importance. So it’s been great to be able to do that. 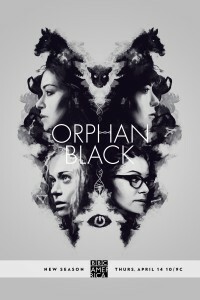 Orphan BlackÂ Season 4 premieres tonightÂ at 10/9c on BBC.